London, 27th March 2019 – Storage Made Easy® (SME) today announced that the New York Services Provider, New York Geek Girls (NYGG) has deployed and is using their Enterprise File Fabric Service Provider edition. New York Geek Girls is an IT consulting and cloud services provider centred out of New York that provide a ‘virtual’ IT department for companies in New York, New Jersey and beyond. New York Geek Girls required a content management solution that enables their end customers to securely work with their company data which is stored in Amazon S3 Object Storage. To faciliate this requirement, for the last year, the company has been using the Enterprise File Fabric by Storage Made Easy. With the File Fabric’s Application layer, NYGG customers have easy secure access to their S3 stored data from any desktop, or mobile device. The solution provides integration into Active Directory and LDAP Identity Management Systems, home drive integration into users desktops, an easy to use but sophisticated web file manager and ultra secure collaboration and file sharing controls. 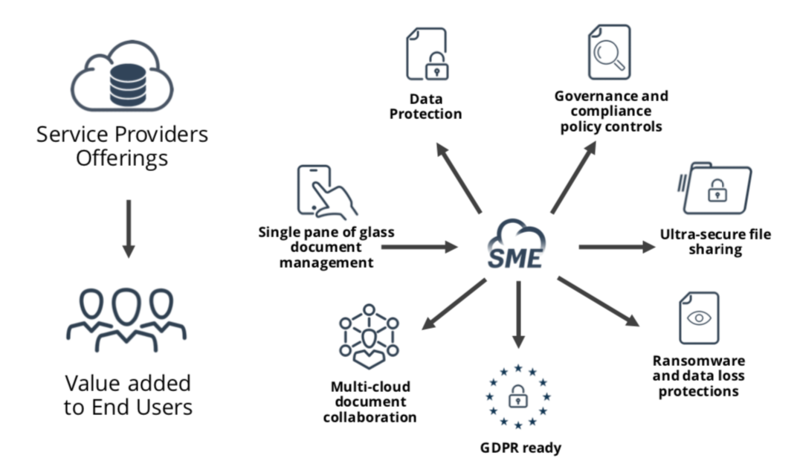 The Enterprise File Fabric solution has a strong focus on Governance, Risk and Compliance (GRC) in which it provides FIPS certified encryption of data, using customer provided keys, on any of the 60+ on-premises and on-cloud file storage solutions it supports. The File Fabric provides a central point of enforcement for governance/compliance policies and the auditing of all file events (who, what, when, why, how). New York Geek Girls Inc is an IT consulting company offering customized technical support, planning, and maintenance to small businesses, nonprofits and sole proprietors in New York and New Jersey. NYGG offers an array of best-in-class cloud solutions for storage, email and VoIP. They also provide IT solutions in the areas of security, disaster protection, backup, and device management.